Hop in Dani the food-trotter’s van to travel around the globe and discover tastes from around the world with Danone of the World yoghurts. 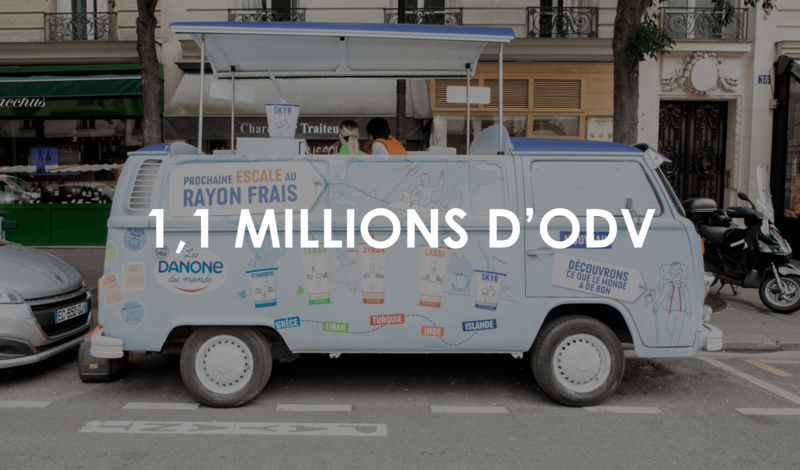 To open minds and tastes, Danone and Globe, its shopper marketing agency, invite French customers hungry for foreign cuisine to get a taste of the world with “Danone of the World” yoghurts. To accompany the launch of this new innovative product range, Globe deployed its new concept “from story-telling to story-tasting” with Dani the food trotter’s van, a place where customers can taste the brand’s yoghurts. This marketing strategy combines brand power and customer affinity – a winning strategy, as tastings are a pleasure driver and, in France, lead to product purchases 70% of the time. At a time when 7 out of 10 French customers are hungry for foreign cuisine, Danone of the World yoghurts embody an invitation to travel, drink, eat, or cook with five original flavours: the Indian-inspired Lassi drink, the Icelandic-inspired Skyr yoghurt, the Lebanese-inspired Laban yoghurt, the Greek-inspired Straggisto yoghurt, and the Turkish-inspired Ayran drink. The product’s colourful and detailed packaging stars Dani – an avatar whose name is styled after that of Daniel Carosso, Danone’s founder. With just a spoonful of yoghurt, he whisks customers thousands of miles away to Iceland, Greece, India, Lebanon, or Turkey, telling stories from his travels. From story-telling to story-tasting: just close your eyes, taste, travel, and buy! To share Dani’s discoveries and new recipes with as many customers as possible, Globe designed a national roadshow that fits into the brand’s overall story-telling strategy. This strategy seeks to leverage the proven effectiveness of direct-to-customer tasting (+25%), memorisation (97%), recommendation rates (87%) and the customer acquisition rate, with a 62% gain in new buyers. Dani will spend a month touring across France in his van, sharing the discoveries he has made around the world and the recipes inspired by his travels with his French community. 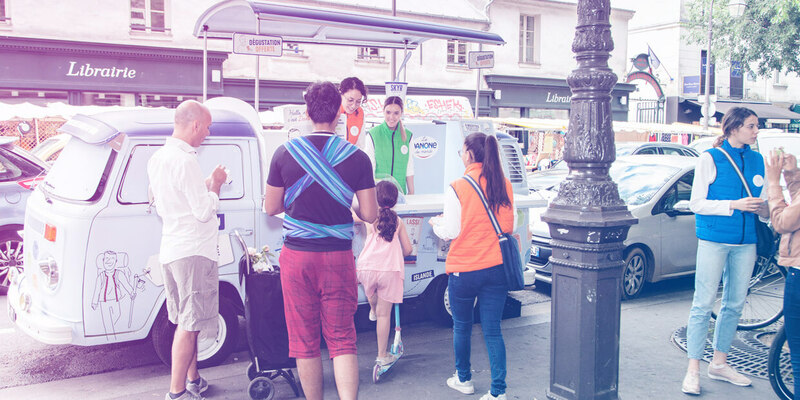 Through this culinary initiation in Dani’s van, Globe and Danone aim to open customers to new cultures and new tastes. While travelling, sharing, and portability are at the heart of this culinary ritual, the tour’s direct marketing schedule was carefully planned, with the aim being to combine brand power and customer affinity. The brand’s goal is to enter into contact with the greatest number of potential customers by making a stop in 4 major French cities – Paris, Lyon, Bordeaux, and Nantes – and particularly areas of heavy foot traffic and customer affinity: train stations, farmer’s markets, and travel- and food-related events such as the Taste of Paris show, an annual 4-day event that has transformed the Grand Palais into a temple of gastronomy each year since 2015. This ambitious campaign generated 1.1 million customer OTSs (opportunities to see).